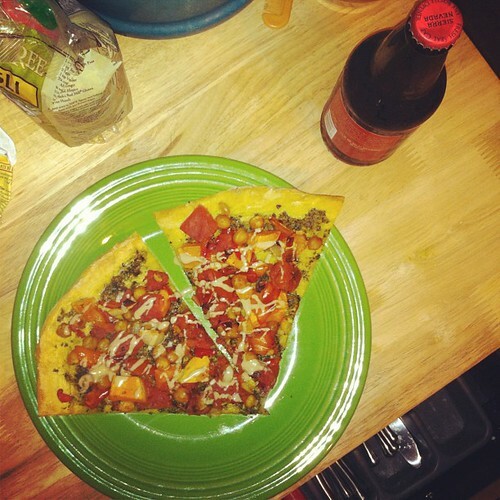 Make a vegan pizza loaded up with veggies, etc. 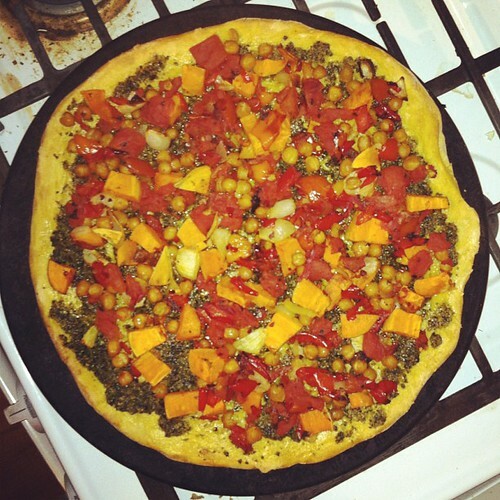 We made this one last night using Pumpkin Garlic Knots dough with Walnut Pesto for "sauce". But before all that, we roasted red peppers, sweet potatoes, chickpeas, onions, and tomatoes for the topping. Just enough so they could go in the oven again and bake onto the pizza. A drizzle of tahini went perfectly! 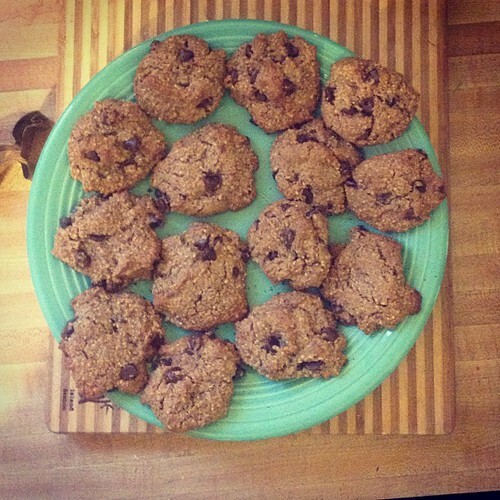 Make Angela's Crispy Peanut Butter Chocolate Chip Cookies. This is batch number two for us. I substituted 1/2 cup honey for the sugars and omitted the water in the flax egg (just added a tablespoon flax meal in its place). Coconut oil in place of Earth Balance. They turned out great. And for exercise and entertainment: Thanks for all your great suggestions for workouts and books yesterday. I thought I'd compile them for future reference and to share with those of you who don't regularly click onto the site to see the comments. I think that's all of them. Keep 'em coming, and have a great weekend!